Finished gymnasium in Croatia, Varaždin, then studied interpreting at Karl-Franzes University in Graz. After acquiring one diploma went to study architecture at the Technical University of Vienna. Fields of interest: using clay, stone and wood in traditional constructions and new construction techniques. studied Textile Design at the University for Applied Arts in Vienna and graduated in 1998. Since then she has been active as a Consultant for Design and Product-development in various countries around the world. She focuses mainly on creativity processes and the question of identity. Initiator of AHDF. His fields of research are in architectural history (doctoral thesis: Buddhist sacred architecture in the Western Himalaya: layouts, building typologies and proportional systems) and on material and constructive traditions (doctoral thesis in preparation: West Himalayan earth analyses - Mineralogic qualities of soil as building material). His studies are related to research institutions at the Vienna University of Technology, the Vienna University of Natural Resources and Life Sciences and the Austrian Academy of Sciences. He is working as an architect in the fields of planning, construction management and controlling. She is studying for a Master Degree in Architecture at the Vienna University of Technology. During her studies, she took part in several group exhibitions, featuring architectural projects and artwork. She has also planned projects in interdisciplinary teams and participated in multiple student design competitions. Currently, she is working on her diploma thesis, which focuses on the potentials of biomimetic architecture for creating sustainable, efficient buildings and new lightweight construction techniques. Also, she has always been interested in botany, especially tropical species, art and photography. Graduated in Civil Engineering at Lisbon Engineering Superior Institute and received her MSc degree at the IST - Technical University of Lisbon, Portugal. She is a PhD student at the Nova University of Lisbon with the subject “Conservation in rammed earth construction. Repair Mortars”. Idália works as an assistant in the Department of Civil Engineering at ISEL - Polytechnic Institute of Lisbon. She is a members of the board of directors of the association of earth buildings in Portugal. Her professional activities include the fields of rammed earth, earth constructions, earth- repair mortars and seismic strengthening. Graduated as architect at the Faculty of Architecture in Zagreb in 2009. Since 2008 he has been working in various architectural offices in Zagreb, Osijek and Rijeka. At the moment (2015) he is working as a teacher in a secondary school for applied arts and design in Osijek. His professional interests include sustainable design, traditional techniques in building, and sound in architecture and human’s environment. His passions are sound recording and composing experimental music. Finished gymnasium in Croatia, Varaždin. Studied architecture in Zagreb, Croatia, where she finished first three years (bachelor degree). Currently finishing her masters studies at the Technical University of Vienna. Fields of interest: using clay, stone and wood in traditional constructions and new construction techniques, Mediterranean sustainable architecture and architecture dealing with education. Works in spatial planning and design. She co-ordinates the cooperation of AHDF and Open House Vienna (“architecture for all: regardless of age, origin, education, or income”) on architectural mediation projects for children 6 years and above. Her interests include architectural anthropology, the effects of built environments on human behaviour and sense of self, space hacking, as well as the potential of augmented, juxta- and superimposed reality as a catalyst for user-driven spatial intervention. He lectured at Vienna University as a linguist for the last 15 years. Since 2005, he has been involved in sustainable international and interdisciplinary cooperation projects. Presently, he is working on his master degree at the Postgraduate Center for European Studies at Vienna University. studied architecture at the Vienna University of Technology and graduated in the field of Non European Architecture. The title of his thesis is Tulou - Leben zwischen Himmel und Erde, Wohnfestungen der Hakka in der Provinz Fujian (Live between heaven and earth, residential fortresses of the Hakka in the province Fujian) which was also published. He is now working as an architect in Vienna with the main focus of planning and refurbishing residential buildings. His main field of research is building with earth, with a focus on traditional rammed earth technique in the southeast of China. studied International Business Administration at the University of Vienna and the University of Illinois (graduation in 2005). Since then she has been working as a writer, editor, and director for a film production company. Further she did trainings for young adults and worked as a scientific assistant at the Danube University Krems. Since 2008 she is studying Architecture at the Vienna University of Technology and working as a tutor at the Institute for Architecture and Design and the Institute for History of Art, Building Archaeology and Restoration at the Vienna University of Technology. is assistant at the Vienna University of Technology (VUT), the Faculty of Architecture. She researches and teaches in the fields Disaster Mitigation and Applied Aesthetics and is in charge of the scientific cooperation program between the VUT and Japanese universities. She graduated from the VUT and stayed at the University of Tokyo as a postgraduate research student in the framework of her doctoral studies on the topic of staged spaces in traditional and modern Japanese architecture. She is also working as an architect and is a member of the Finnish Association of Architects (SAFA). is teaching in the department of architecture at the Shiraz-Azad University. He has a master's degree in the field of architecture and a diploma in mathematics and physics at the Shiraz-Azad University. He is a PhD student at the Vienna University of Technology with the working-title: Residential Houses in Shiraz, Analysis of Entrance Spaces. He is a member of the Iranian Organization for Engineering Order of Building in the Fars Province in Iran. He is working as a team design manager in the field of residential, official, educational, commercial and recreational buildings. His architectural main interest is Construction techniques and Details. He finished his Master's degree at the Faculty of Architecture in Sarajevo in 2010. In the period from 2006-2011 he worked at the Department for Theory and History of Architecture, Department for Graphical Representation and at the Design Department. He is a Co-founder of Association LIFT- Spatial initiatives and in the Organization Team of The Days of Architecture in Sarajevo. Now he is working in practice as a design architect in Vienna. As an architect and artist - painter, his work and study focuses on our inner worlds and landscapes and the present intuitive processes. She finished her studies of interior design at the Al Zahra University in Teheran as well as at the University of Arts in Teheran for conservation and maintenance of historical buildings and areas. At the Vienna University of Technology she is working on her doctoral thesis with the working title: Traditional Architecture in Iranian villages - case study the village of Abianeh. She is working at the organisation of Persian culture and monuments as project manager for the village of Abianeh which is mentioned in the list of national monuments of Iran. He studied architecture at the Vienna University of Technology and film&photography at the Escuela de Cine Macul in Santiago, Chile. He was producing documentary videos related to art in Vienna and Havanna, Cuba. He has been working as an architect, recently in the field of adapting historic buildings for contemporary use such as a fin de siecle palais for the Austrian Constitutional Court. He is currently working on a doctoral thesis about ongoing transformation processes in African metropolitan cities. He studied architecture at the Vienna University of Technology (titled: Improvement of housing conditions of former Chilean refugees in the Zinnergasse 29 in Vienna as a contribution to the integration of imigrants in Austria) and is a PhD student at the Vienna University of Technology. The schools up to the high school certification he passed in Rwanda, his country of origin. He is working in the department of regional support for urban renewal in the fields of rehabilitation, energy consulting, human integration and barrier-free architecture. He is also working as architect in the field of planning. His language skills beside German, English and Swahili are French and Kinyarwanda as his mother tongue. 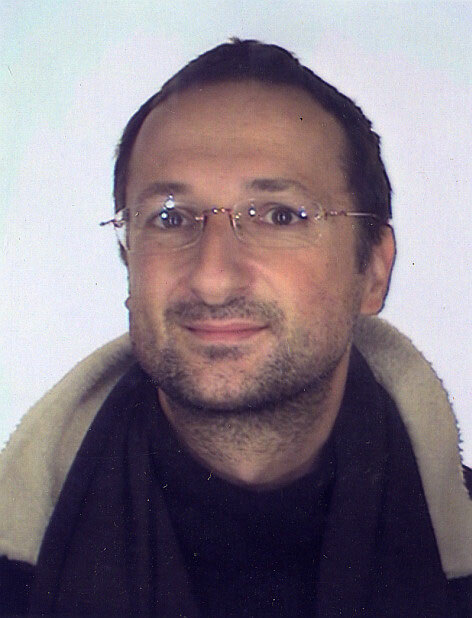 Since his double-degree at Ecole Centrale Paris (Ingénieur des Arts et Manufactures, equivalent to a MSc in general engineering studies) and Politecnico di Milano (Laurea Specialistica in Ingegneria Edile-Architettura, equivalent to a MSc in building engineering and architecture) he worked with different European architecture firms and collaborated with the non-profit organisation Architecture for Humanity. He is also researching on transitional responses after natural disasters. His doctoral thesis is in preparation: e(t)p: transitional post-disaster settlements as a driver of the urban and social recovery process. completed her Master (Dipl.-Ing.) in Urban and Regional Planning at the Vienna University of Technology and is working on her doctoral thesis with the following topic: Building Bridges - The Contribution of Planning for Bridging the Gap between Emergency Recovery and Longterm Development Cooperation. She is Assistant Professor at the Vienna University of Technology, Department of Spatial Development and Infrastructure & Environmental Planning, Centre of Regional Planning and Regional Development, specialised in national and international municipal and regional planning and regional development in developing countries. studied architecture at the Vienna University of Technology. As a professional 3D modeller he works at the company 7Reasons, producing architectural 3D reconstructions and graphics of archaeological content for museums and exhibitions. He teaches at the Vienna University of Technology as external lecturer traditional settlements, houses and landscape and traditional building techniques, house typologies and their relation to the natural environment and other topics closely related to vernacular architecture. The working title of his doctoral thesis: Traditional house typologies and their change in Eastern Indonesia. Research areas: Traditional architecture in Central Asia, Insular South-East Asia, Oceania and Central Europe, (historical and prehistorical) building technology, tools and ergology applied to wooden structures in theory and practice.